I made more than enough meatballs few days ago for a soup. Well… I was thinking of what to do with the remaining meatballs, then I thought… maybe I can make congee with it! So I went out to buy a butternut squash and a lettuce and make congee. 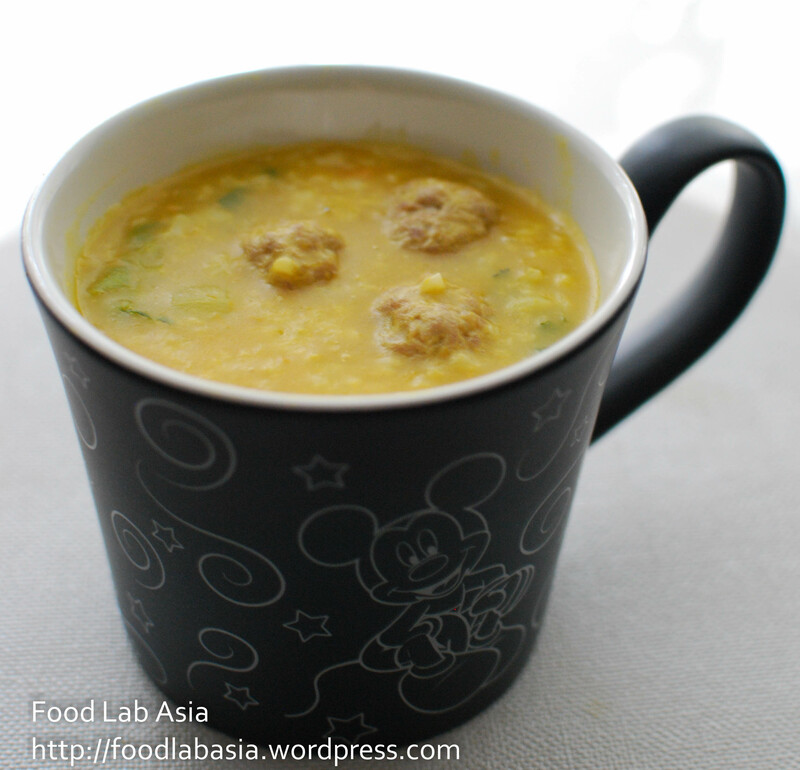 In case you’re wondering what congee is, it’s type of rice porridge. People usually eat it when they’re not feeling well, but I eat it whenever I like it. Hmm… the recipe for congee… it’s just rice with LOTS of water, and you cook it for 60-90 minutes. How much water depends on what kind of congee you like. Some people like to have the rice texture, so they’d put in less water and cook it for a shorter time. For me, I like it very liquidy, so I add lots of water. My co-worker once said it should be 1 portion of uncooked rice to 10 portions of water. You cook the rice with water with high heat first. When the water boils, turn it to slow heat and let it cook. This is your congee base. Once you have the congee base, you can then put whatever you like in the congee. This time I’m using the 12 meatballs from the soup, half a butternut squash (cubed), and a few leaves of lettuce (thinly sliced). I put the meatballs, butternut squash and lettuce in when the congee was the texture that I liked. 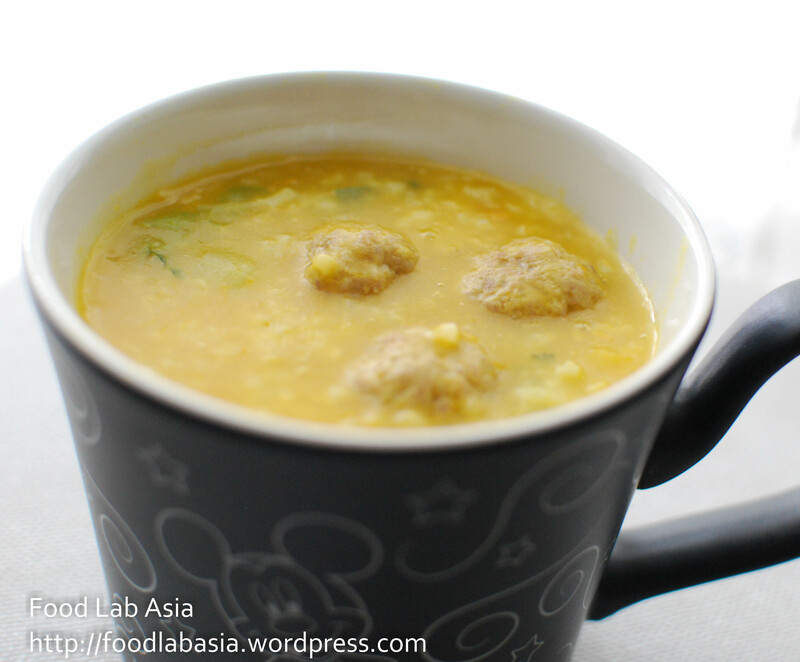 Then when then meatballs and butternut squash were cooked, the congee’s ready! 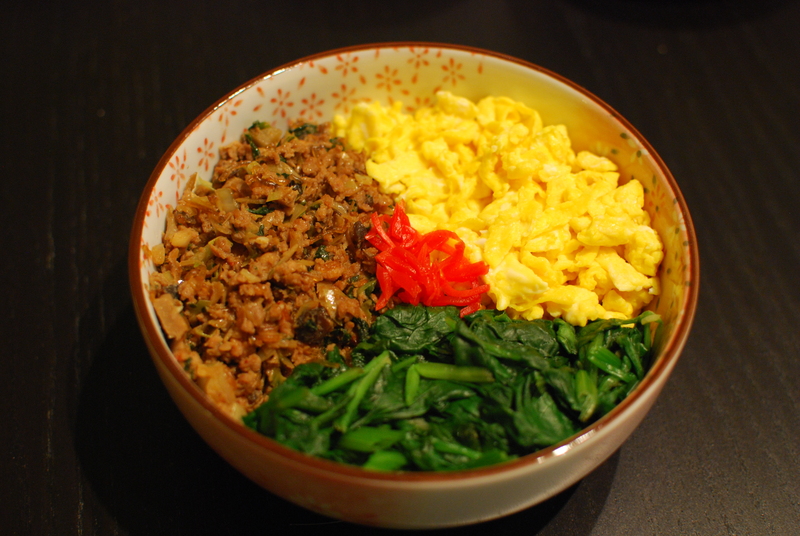 Some other ingredients I like to put in are corn, dried scallops, minced beef, eggs, etc. It really is whatever you like to put in. Oh! One thing I ALWAYS put in in ginger… I think people put gingers in to make the congee taste better. 1) Don’t cook it with close lid! It spills very easily! 2) It also burns very easily. Always stir it to prevent sticking. Some people say you can put a spoon at the bottom of the pot to prevent sticking. I have tried it once but I forgot if I burnt it or not… haha! I’ve been lazy writing posts, but I’m still trying new dishes! I hope I’d have more time to write about food! That blog will mainly feature dishes that can be done in less than 30 minutes, or dishes that might take a while to make, but will last you a long time. 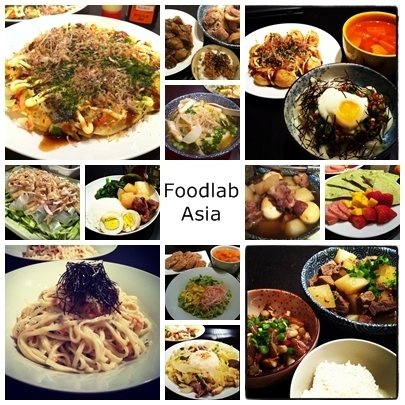 Hmm… I’m still gathering ideas for that blog… but oh well, mostly those food will be western food, not Asian. Ok it’s my first time importing entries from Blogger. It was a major failure! Well… I considered my job done here now. Most of them are 80%-90% edited to the form I want them to look like. I guess I’ll now write my entries on WordPress and then export to Blogger. WordPress seems to suit my style more. Anyways… wish me luck on WordPress!